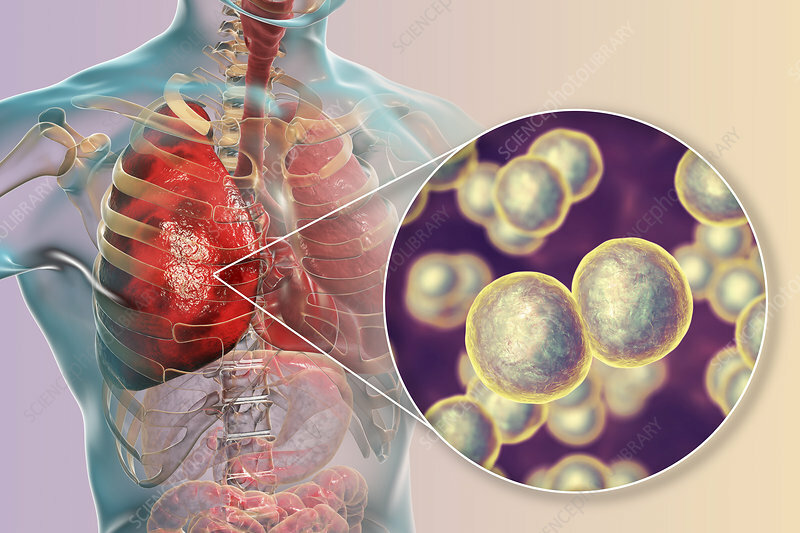 Pneumonia caused by bacteria Moraxella catarrhalis, computer illustration. Moraxella (Branhamella) catarrhalis are aerobic, Gram-negative cocci (spherical bacteria). They are commonly found in the mucous membranes of the respiratory tract of mammals, including humans. In immunosuppressed individuals, or opportunistically, they may cause respiratory tract infections, including pneumonia.